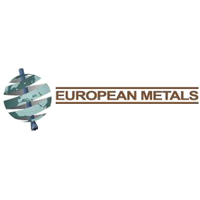 European Metals Holdings Ltd (LON:EMH) has today announced the signing of a Memorandum of Understanding (“MoU”) with The Ministry of Industry and Trade of the Czech Republic regarding the development of the Cinovec Project. The MoU was signed today in Usti nad Labem between the Minister of Industry and Trade, Jiri Havlicek and the Company, in the presence of the representatives of the Australian Embassy and Australian Trade and Investment Commission, 1st Deputy Governor of Usti Region Mr Martin Klika, president of the Tripartite of Usti Region, Mrs Gabriela Nekolova, Chairman of the Regional Bureau of Czechinvest Mrs Alena Hajkova, Chairman of the Regional Mining Bureau Mr Milos Matz, Mayor of the Town of Dubí Mr Petr Pipal and other guests. · discuss and explore possibilities of future bilateral agreements between the Czech authorities and European Metals Holdings Limited concerning the framework of future cooperation in the sector of lithium, including the potential involvement of the Czech Government as an equity participant in European Metals Holdings Limited Cinovec Project. · continue to co-operate with the Czech academic research bases with regards to ongoing research into the processing of lithium ores. The MoU formally notes the Agreement between the Czech Republic and Australia on the Reciprocal Promotion and Protection of Investments, signed in 1993. The Minister of Industry and Trade, Jiri Havlicek said, “Our main objective is that lithium is not only obtained but mainly processed and utilised within the Czech Republic. That is why we have begun talks with the license holders and I am very happy that we have today jointly agreed with European Metals our shared objectives for the important Cinovec Project”. European Metals Managing Director Keith Coughlan said, “European Metals Holdings Ltd fully supports the Ministry of Industry and Trade’s plan to process extracted lithium ore into the final intermediate products in the Czech Republic which is in line with own our development plans for Cinovec. We would like to help maximize the creation of the entire manufacturing chain and we are already taking concrete steps in this area. We are looking forward to continuing our discussions with the Czech Republic to identify possible synergies in the areas of mining, processing and utilisation of lithium, including the possible involvement of the Czech Republic as an equity participant in the Cinovec Project”. Cinovec is located in the Usti nad Labem Region of the Czech Republic, within close proximity to the town of Dubí, and enjoys strong support from the local authorities. Gabriela Nekolova, President of the Tripartite of the Region of Usti nad Labem Region said, “The Economic and Social Council of the Usti Region supports the future mining of lithium, including its processing, where possible in the near vicinity of the deposit, which is both economic and ecological. The Usti Region’s objective is to ensure that the positive impacts, such as the creation of qualified and long-term jobs, can be realised in the Usti nad Labem Region “. Mayor of Dubí, Petr Pipal said, “Dubí supports the development of the Cinovec deposit, and our cooperation with European Metals Holdings Ltd to date has been very good and fair. Our aim is to take into account as little impact as possible on the environment and the life of the inhabitants of the town Dubí and the locality of Cinovec and, of course, that the Czech Republic will benefit from the added value of processing ores to the final products”.